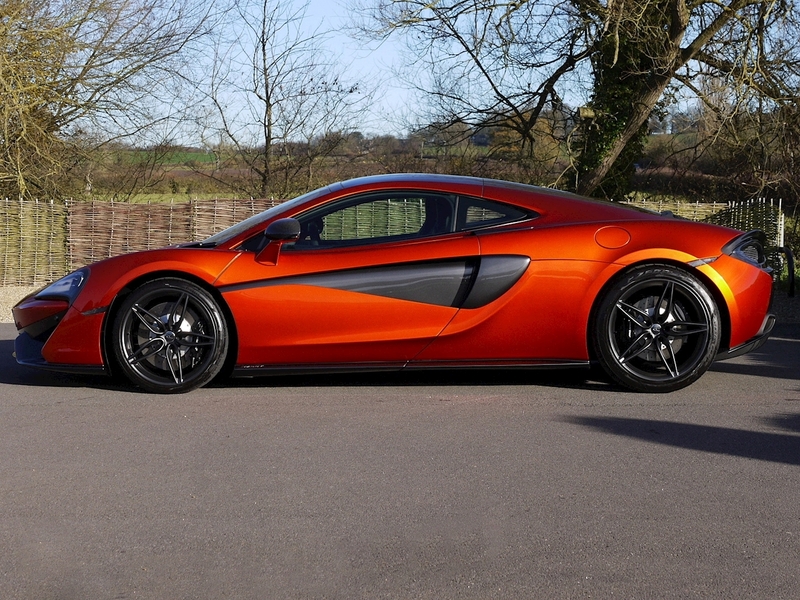 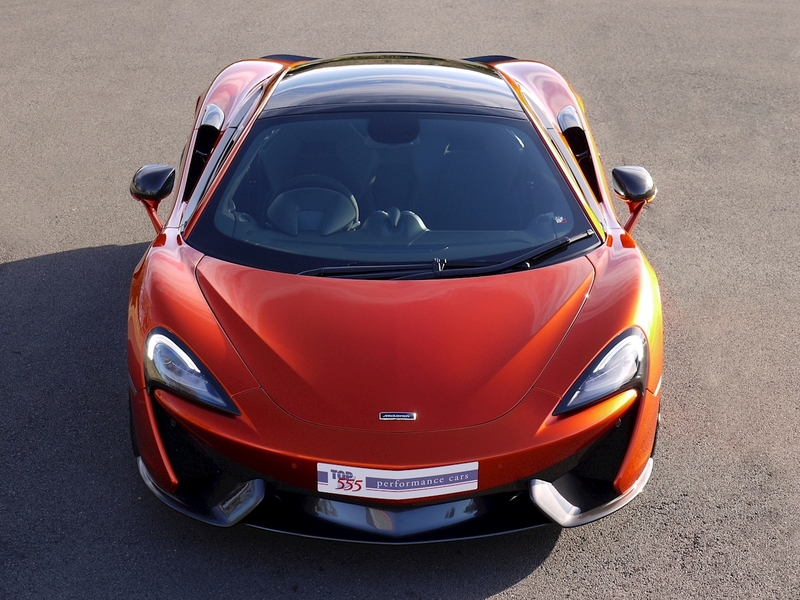 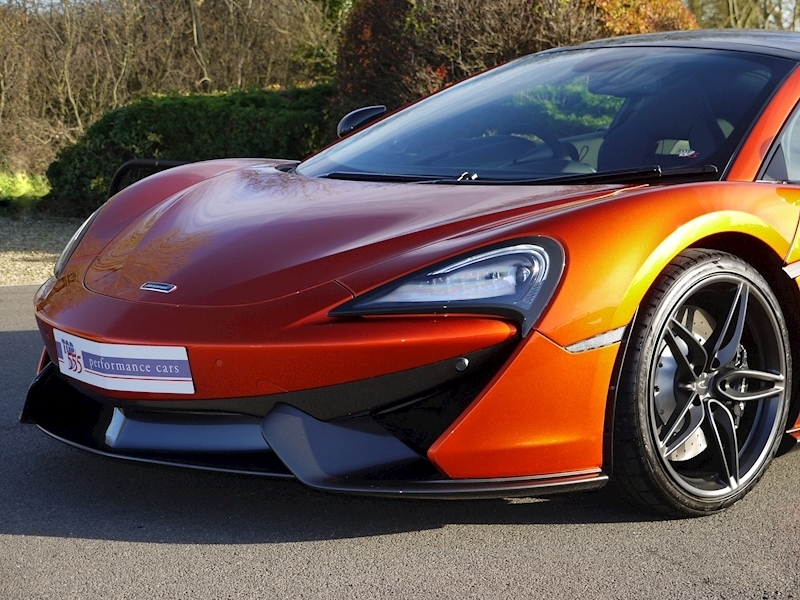 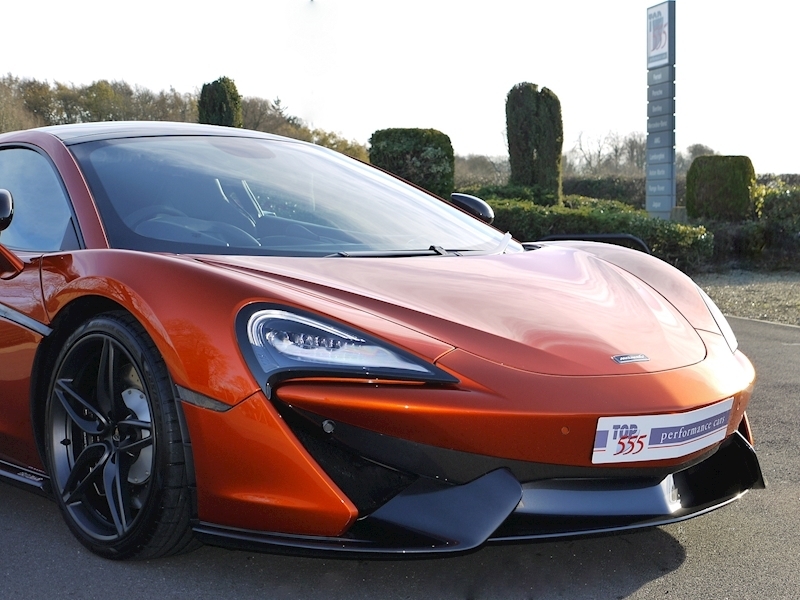 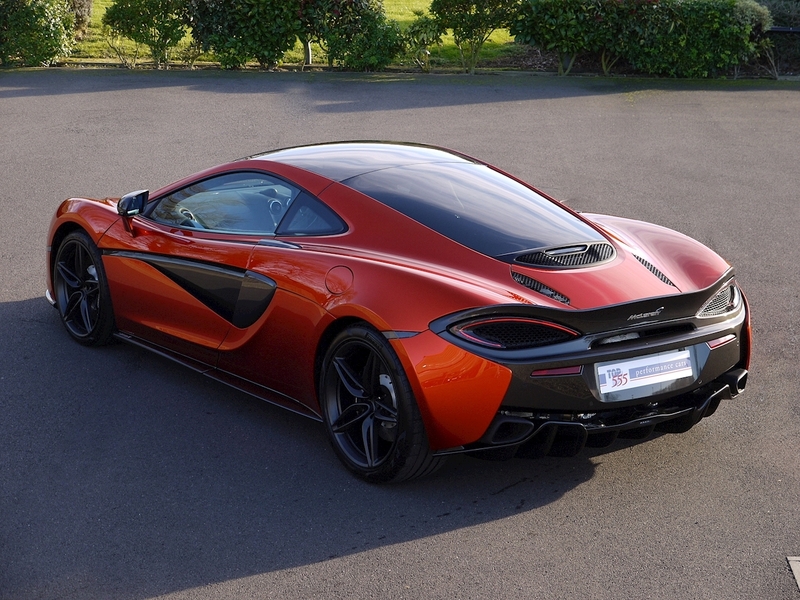 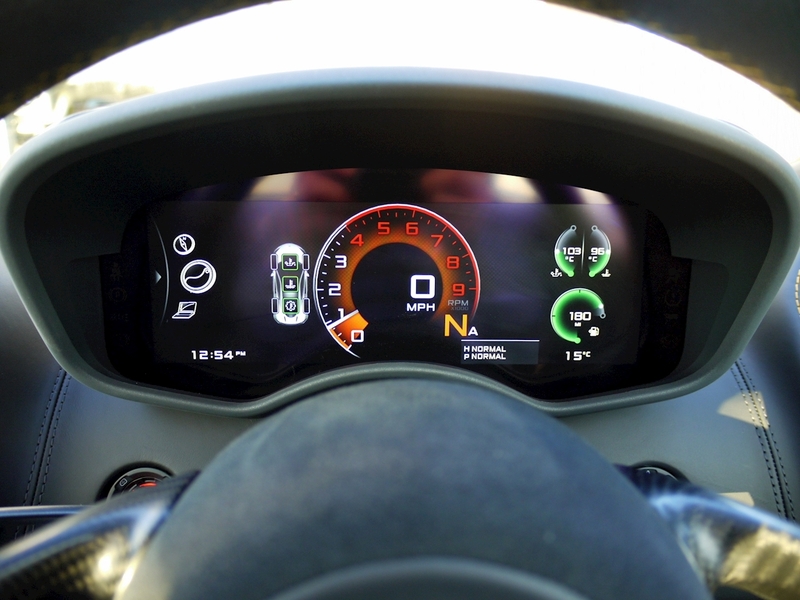 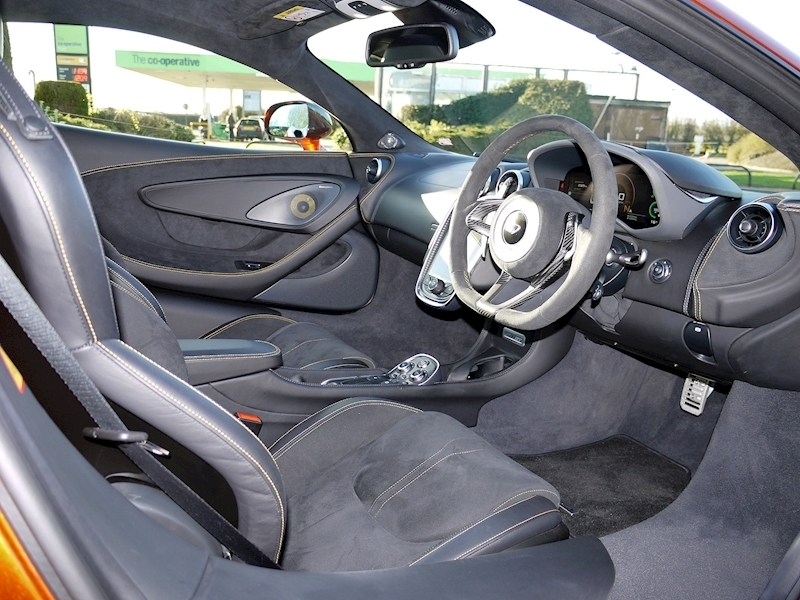 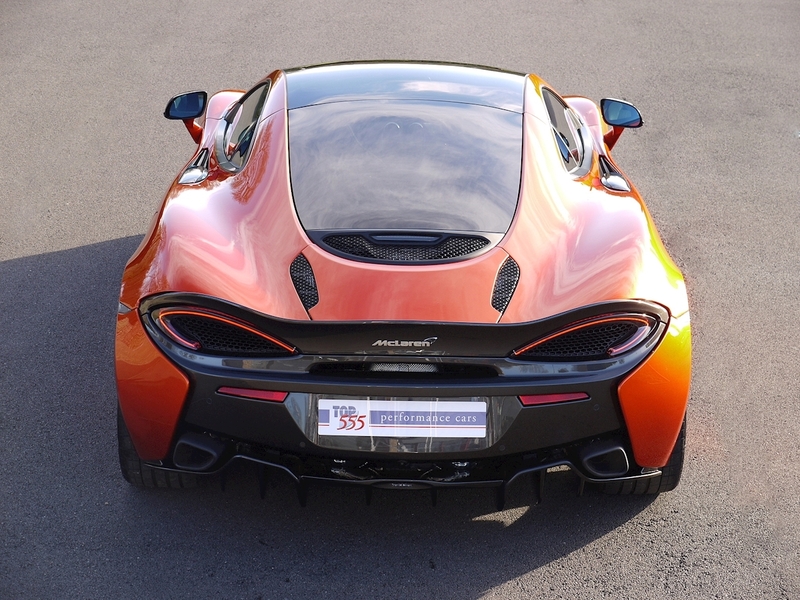 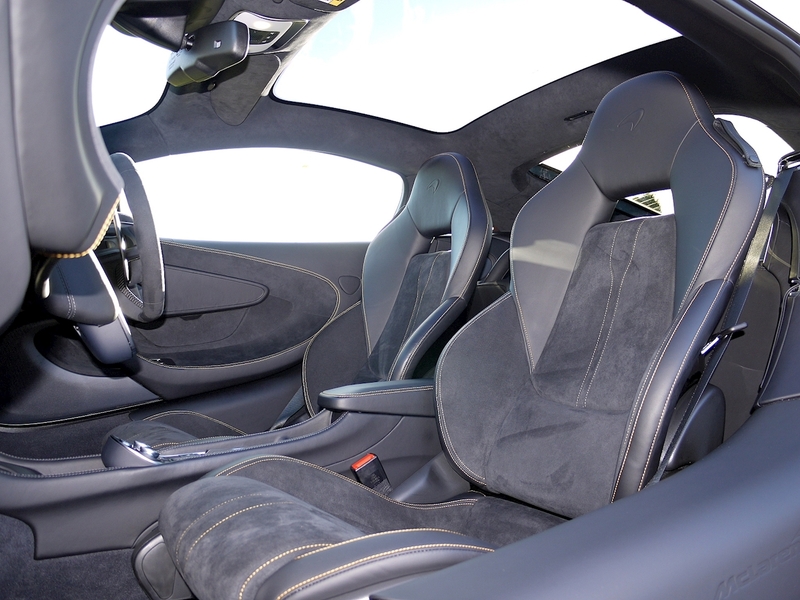 The McLaren 570GT adds extra comfort and practicality to breathtaking performance. 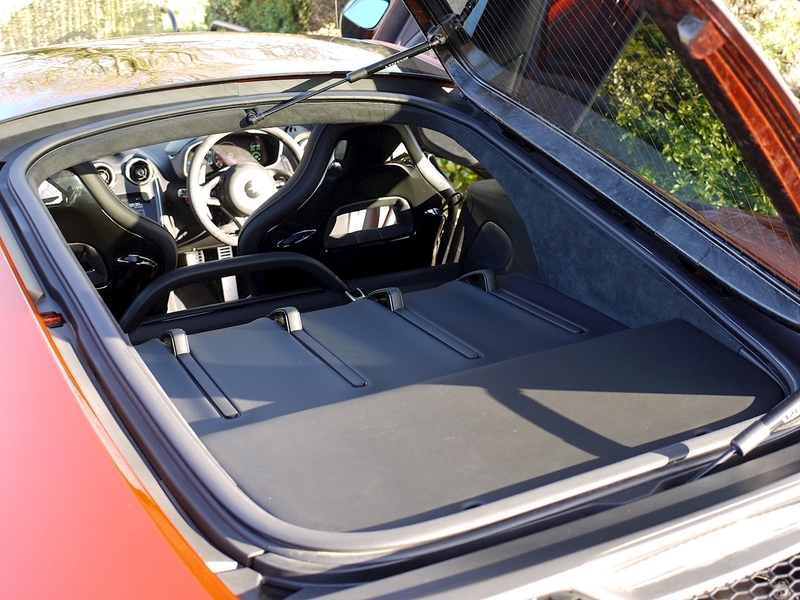 It’s optimised for the road and makes the ultimate sports car experience one that’s perfect for daily use, longer journeys and weekends away. 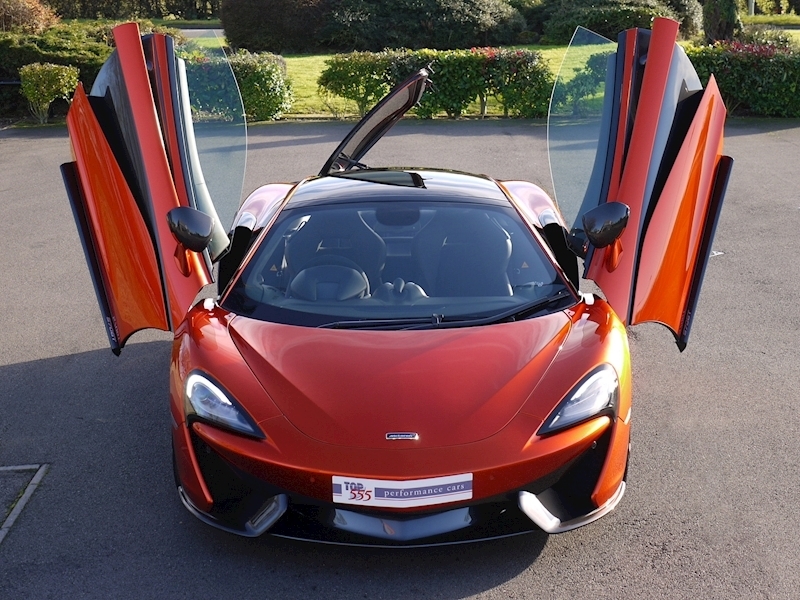 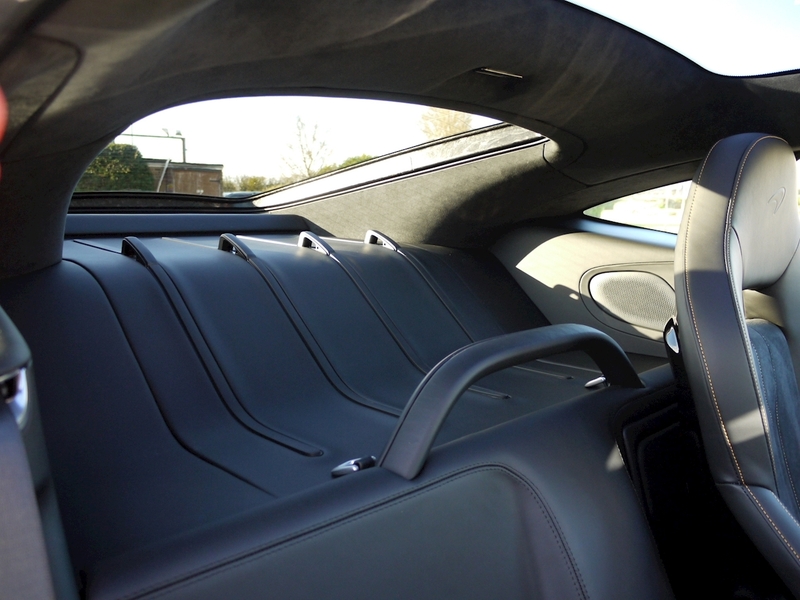 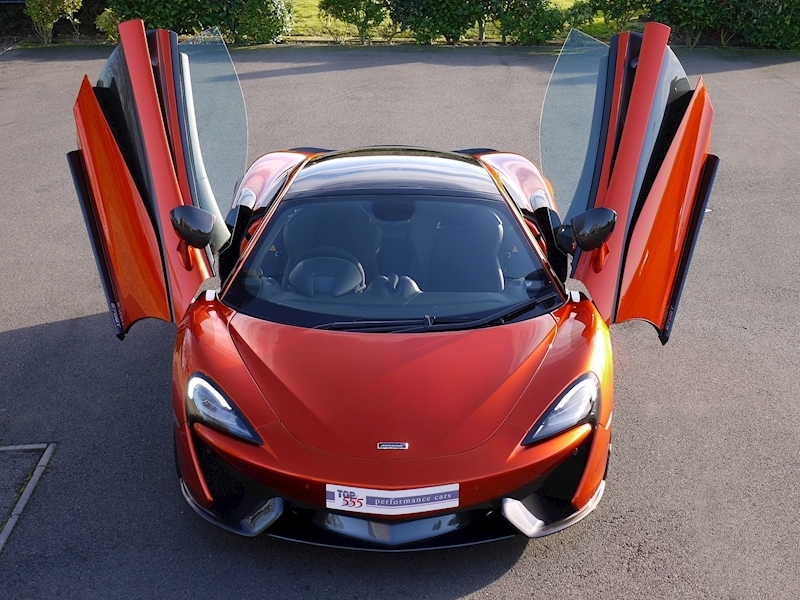 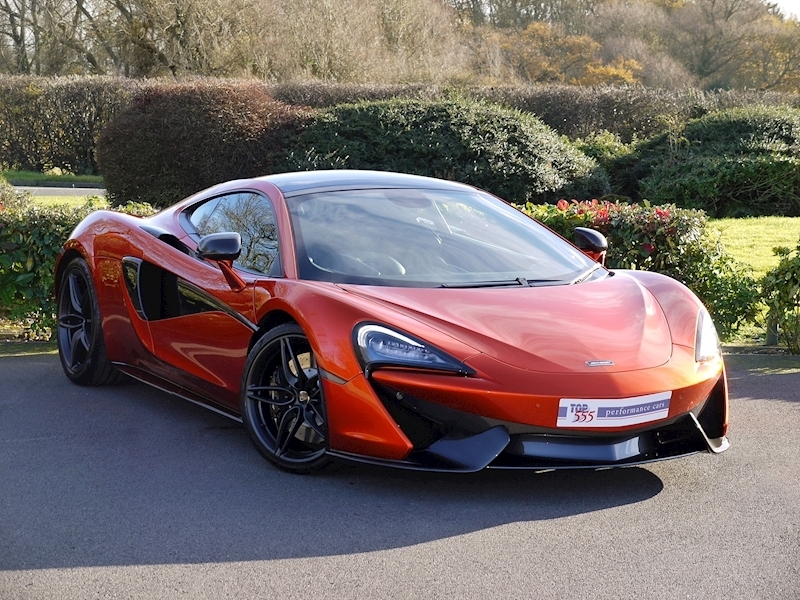 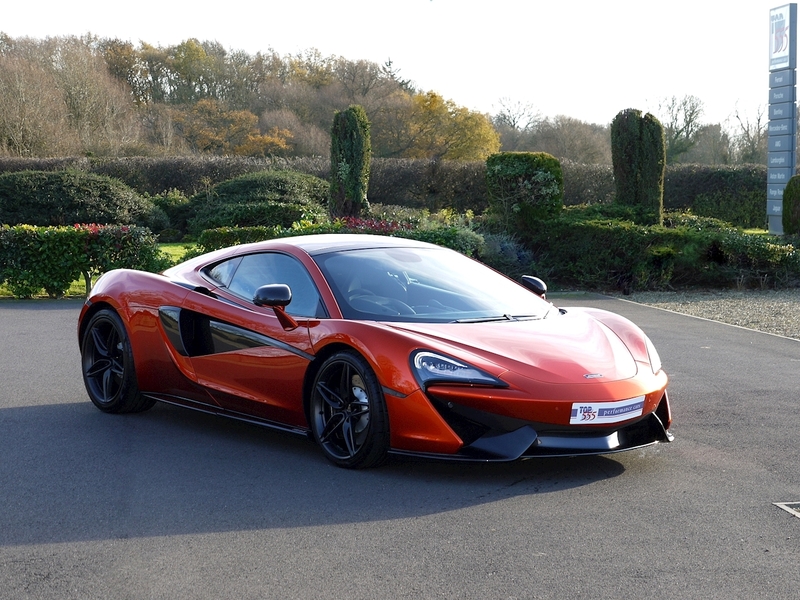 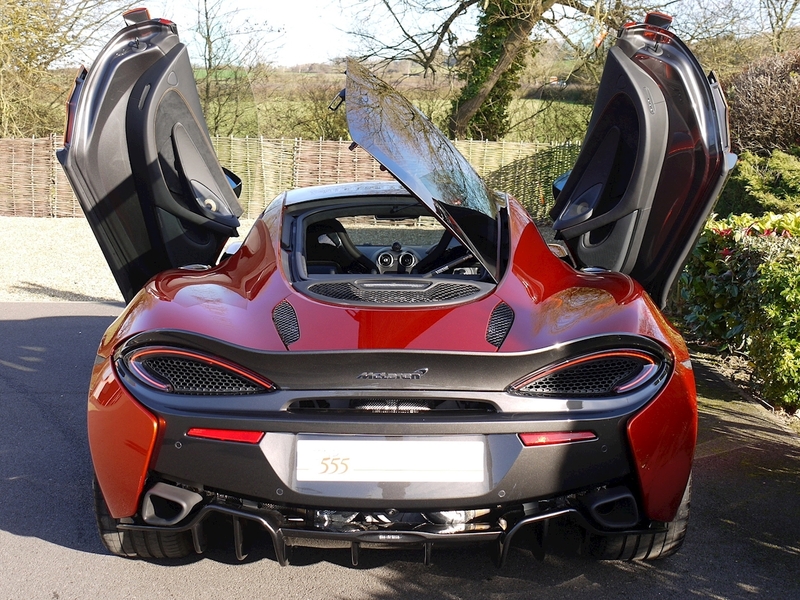 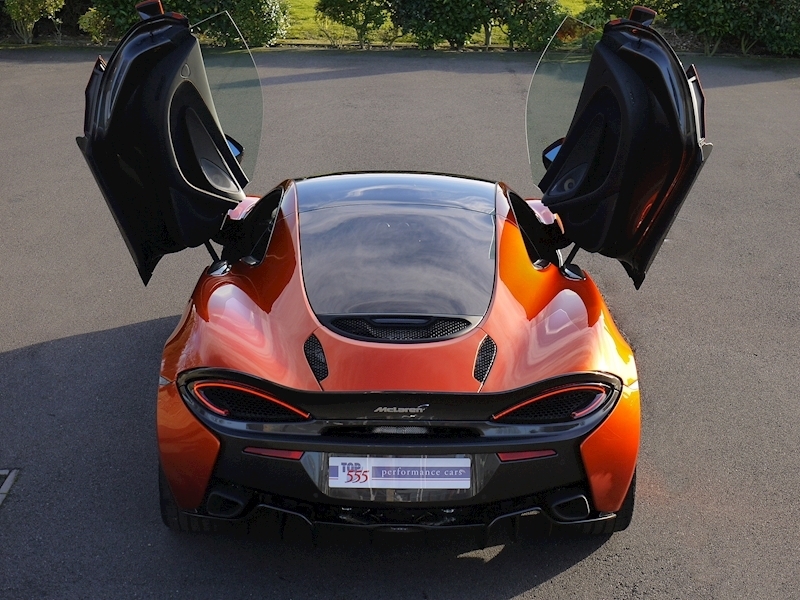 Cost Options Include:- GT Upgrade Pack Which Includes the Following Items - Vehicle Lift System, Rear View Camera including Parking Sensors, Bowers & Wilkins 12 Speaker Audio System, Volumetric Alarm Upgrade, Indoor Car Cover and McLaren Branded Floor Mat Set. Volcano Orange Elite Paintwork. 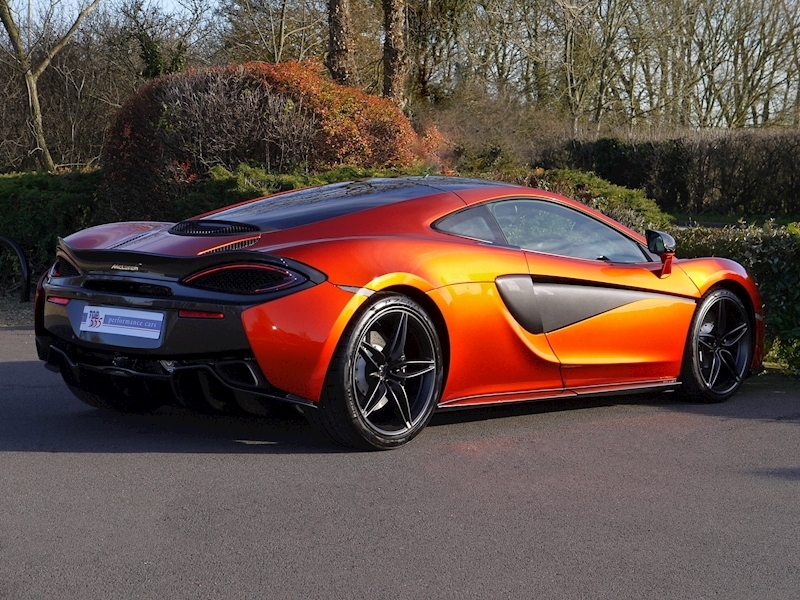 19"/20" 5 Twin-Spoke Lightweight Forged Alloys in Stealth Finish. 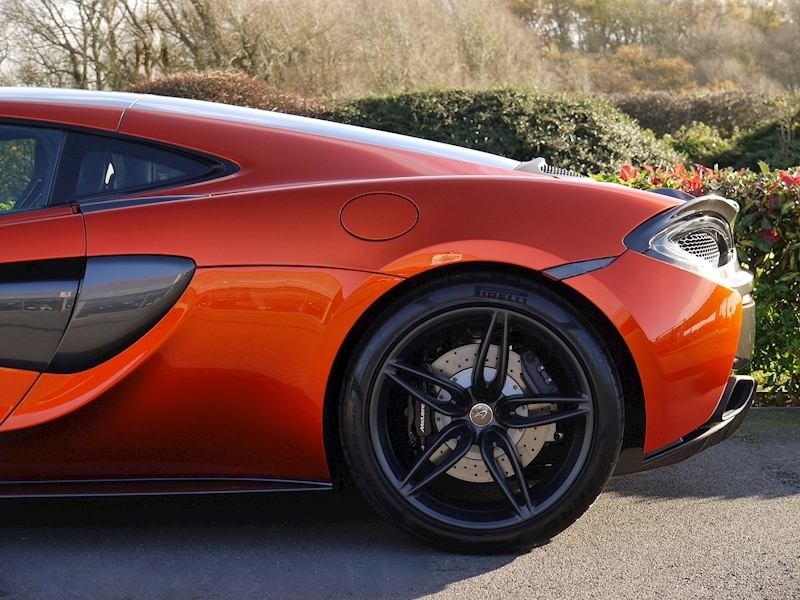 Iron Brakes with Black Calipers with Silver Logo. 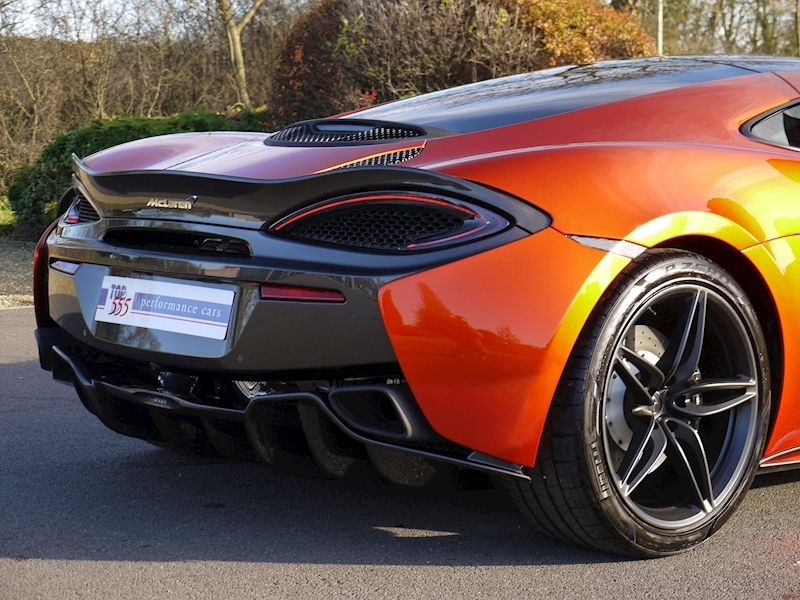 Pirelli P Zero Tyres. Door Mirror Casings in Carbon Fibre. 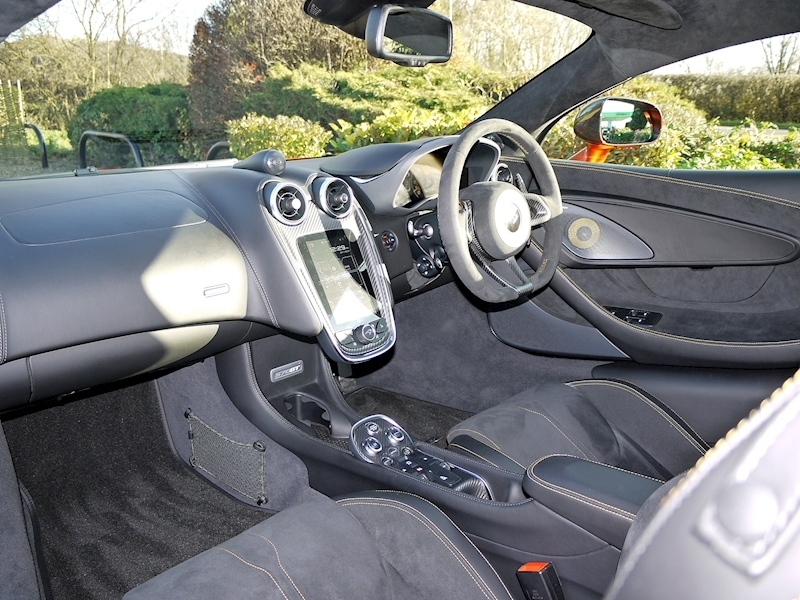 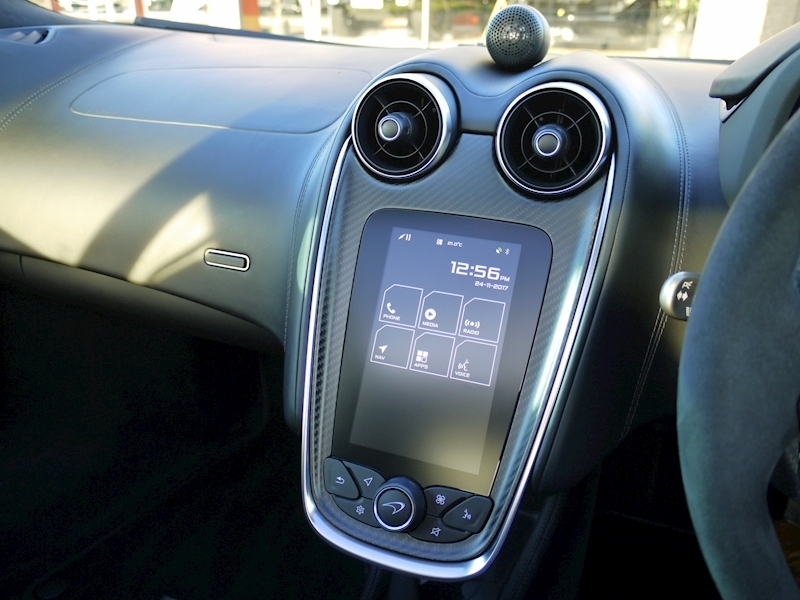 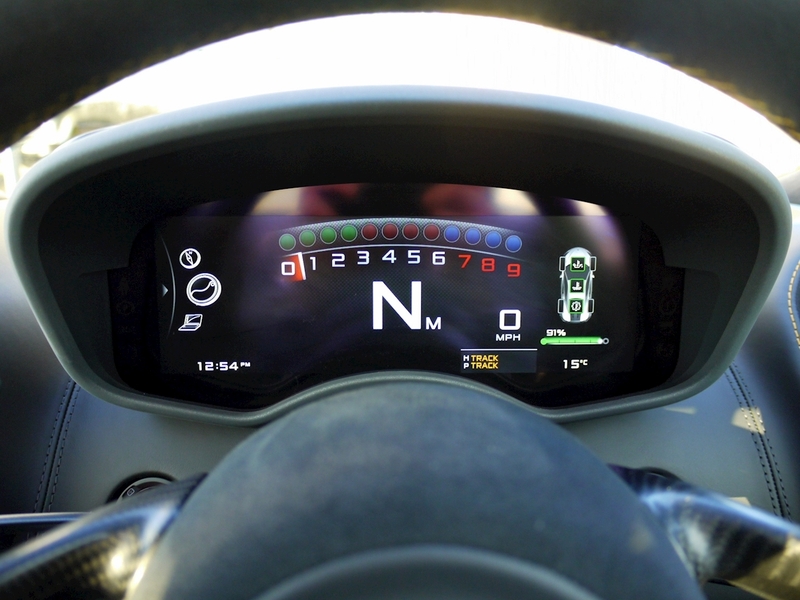 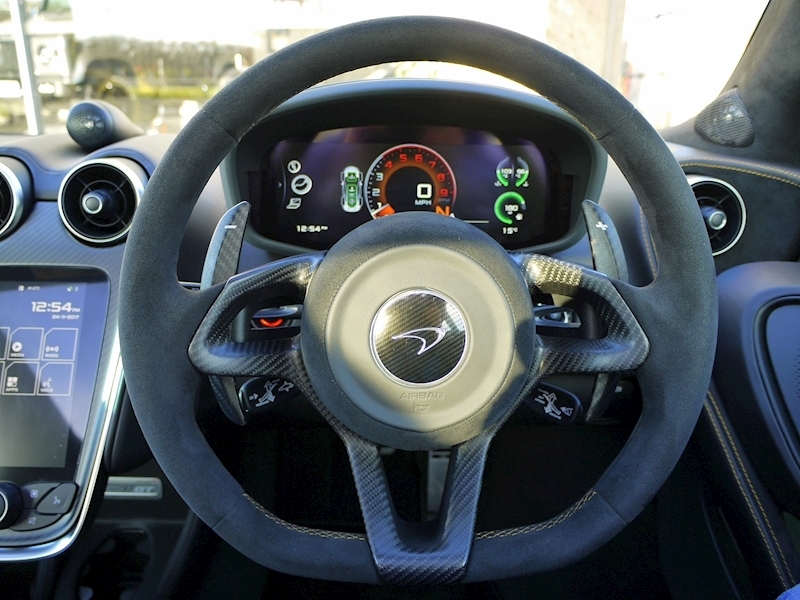 Carbon Fibre Interior Trim (Lower Centre Console Switch Pack, IRIS Surround, Door Switch Packs, Steering Wheel Spokes and Extended Gearshift Paddles in Carbon). 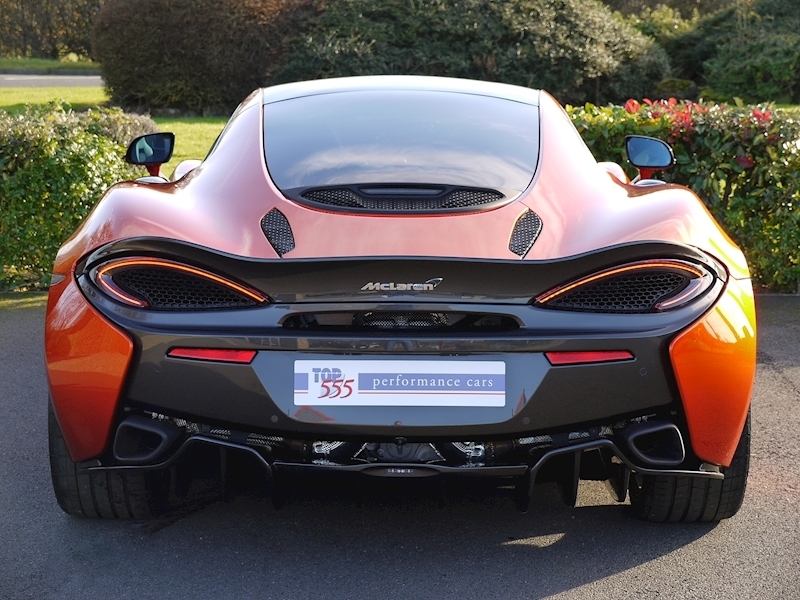 Sports Exhaust. 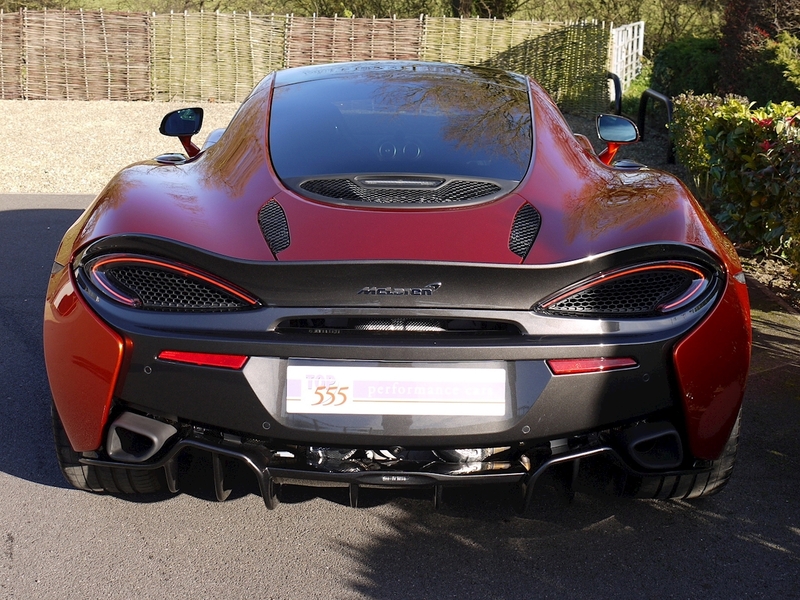 Stealth Exhaust Finisher. 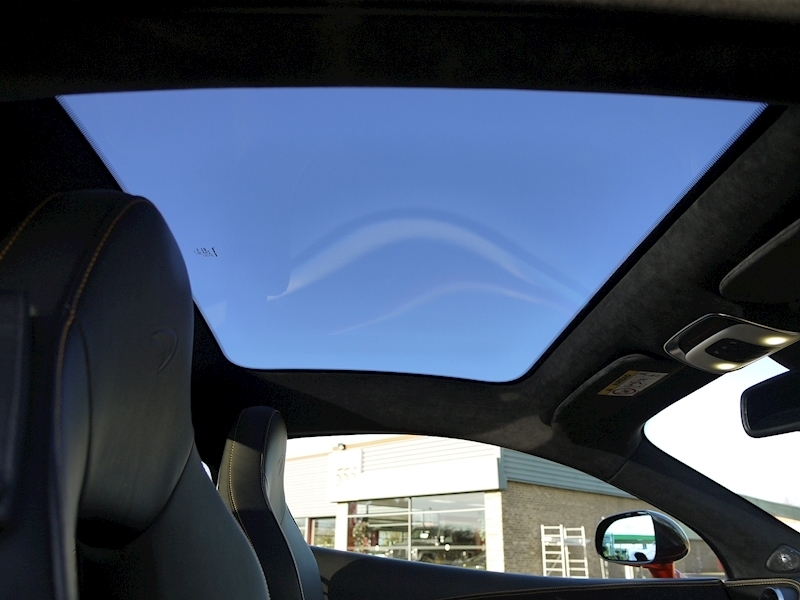 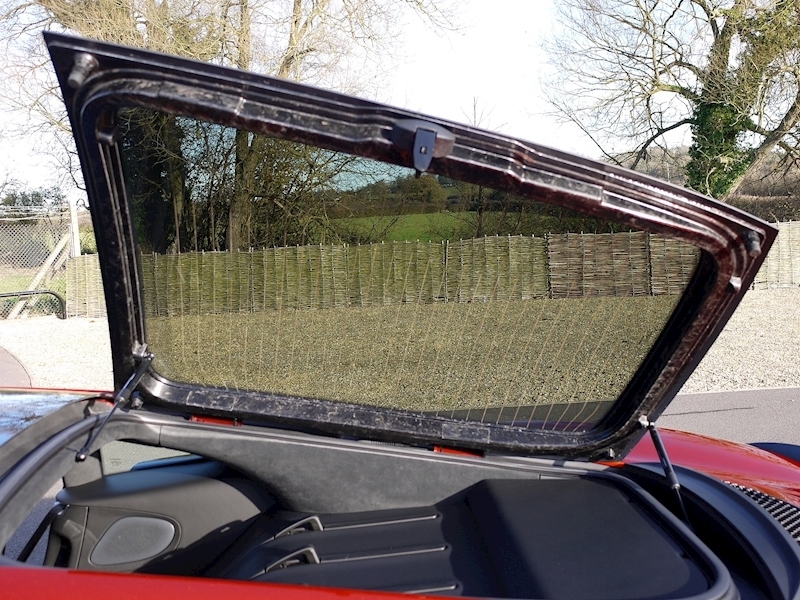 Panoramic Glass Roof. 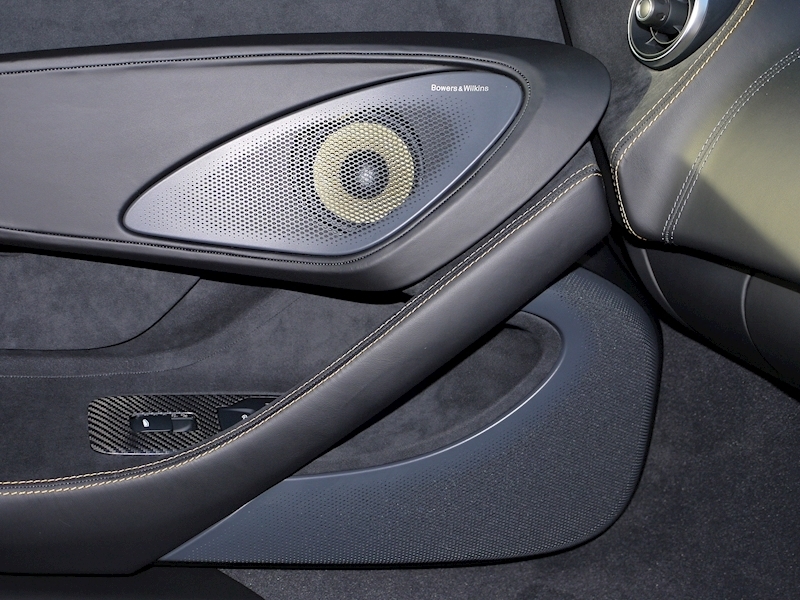 Dark Palladium Door Inserts. 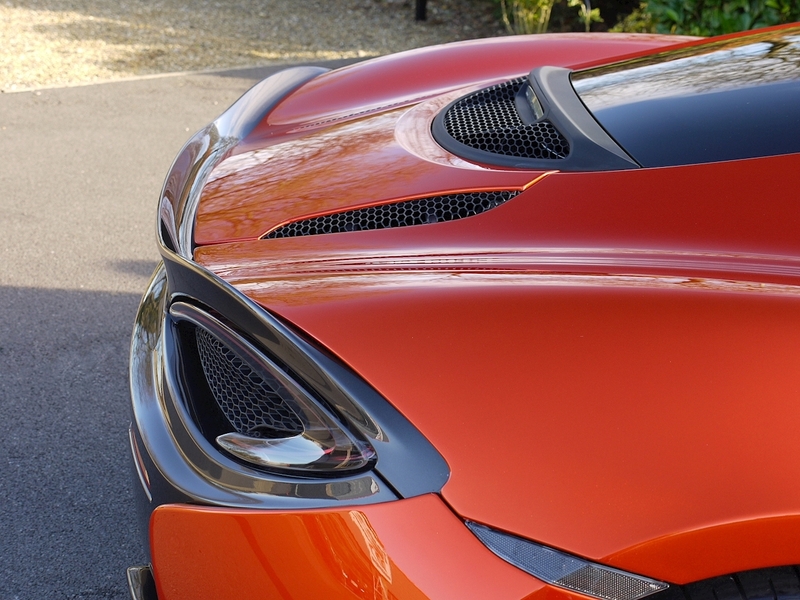 Stealth Badge Set. 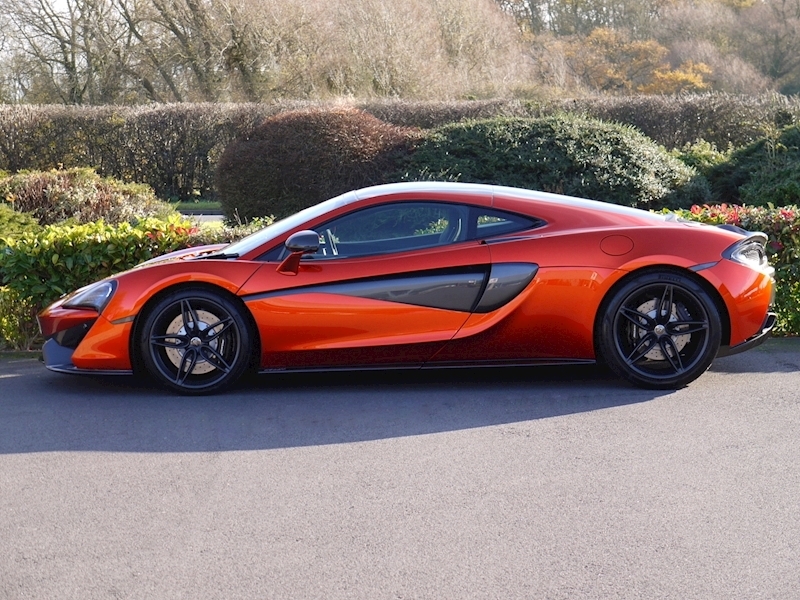 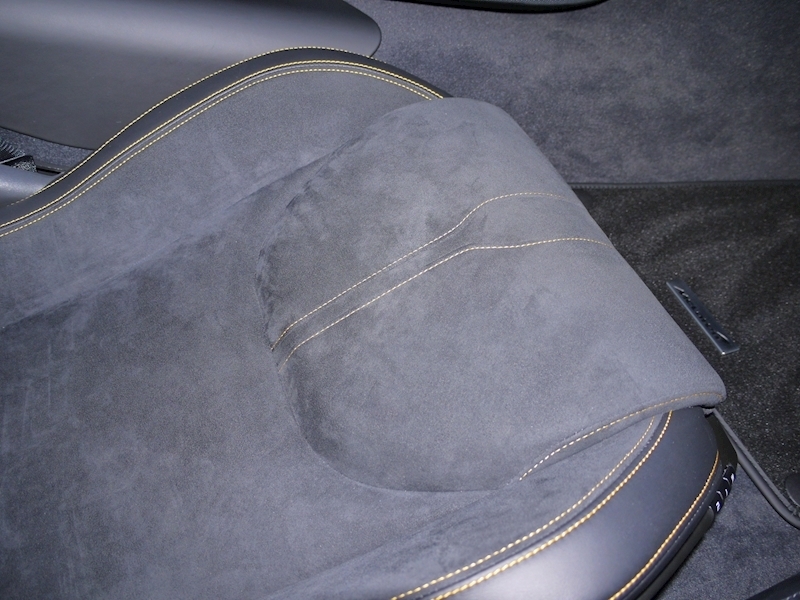 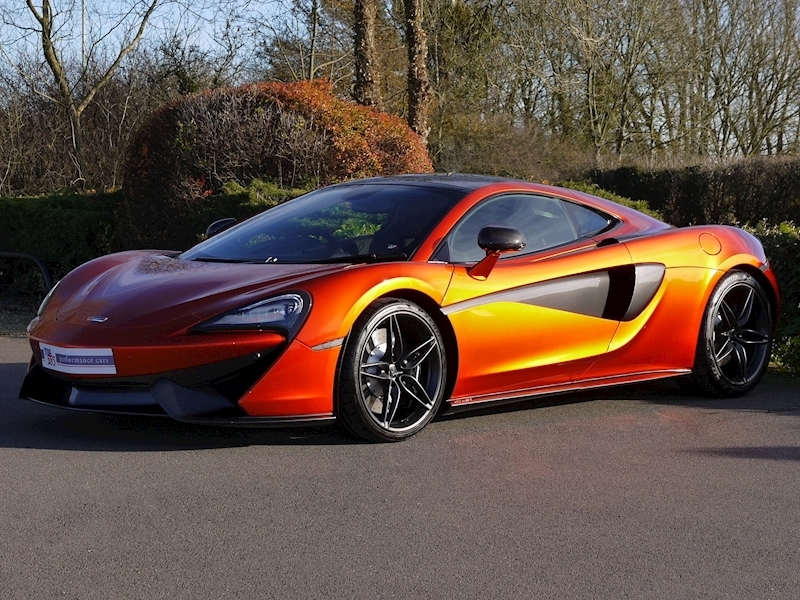 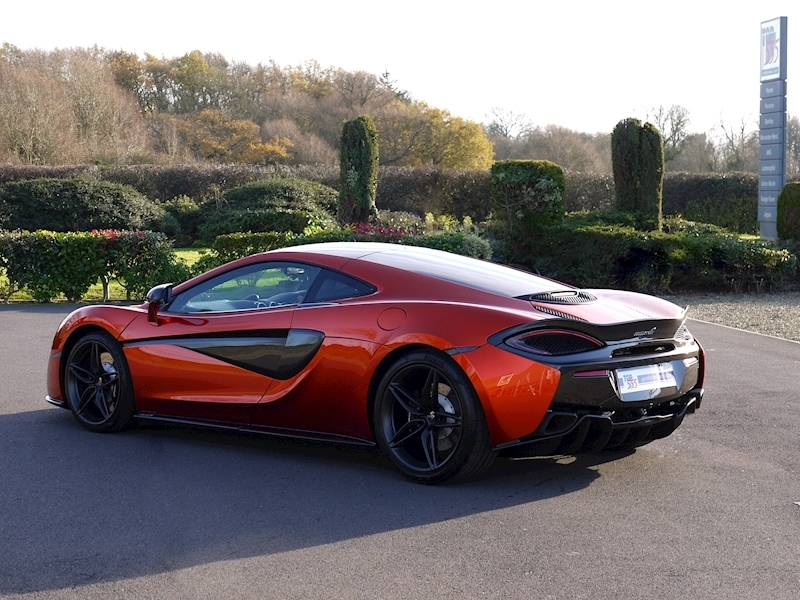 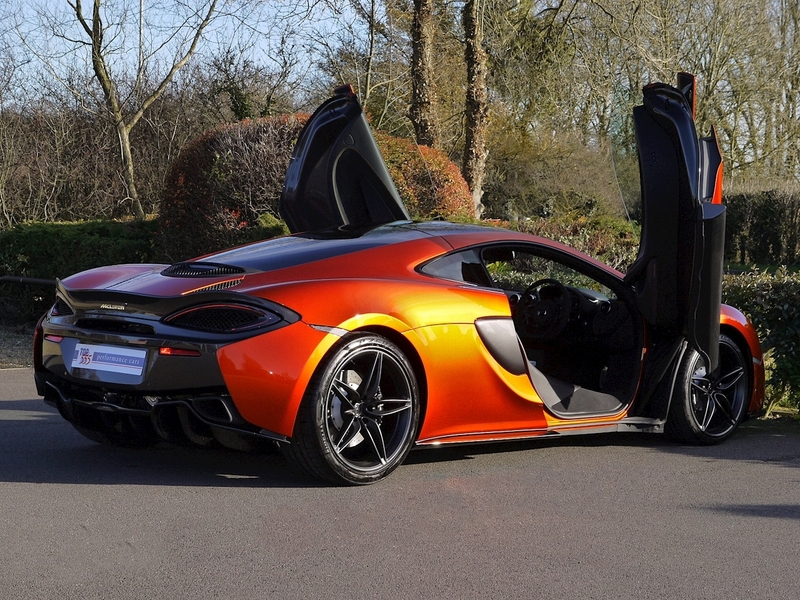 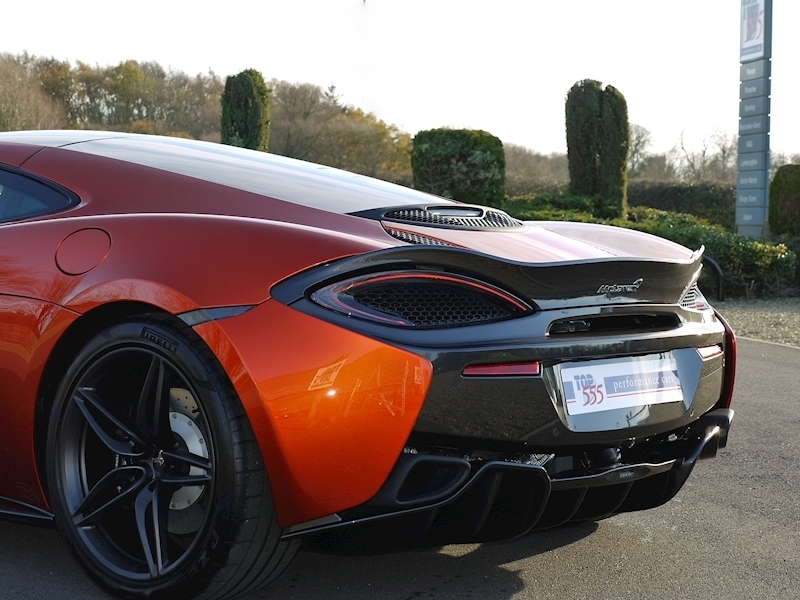 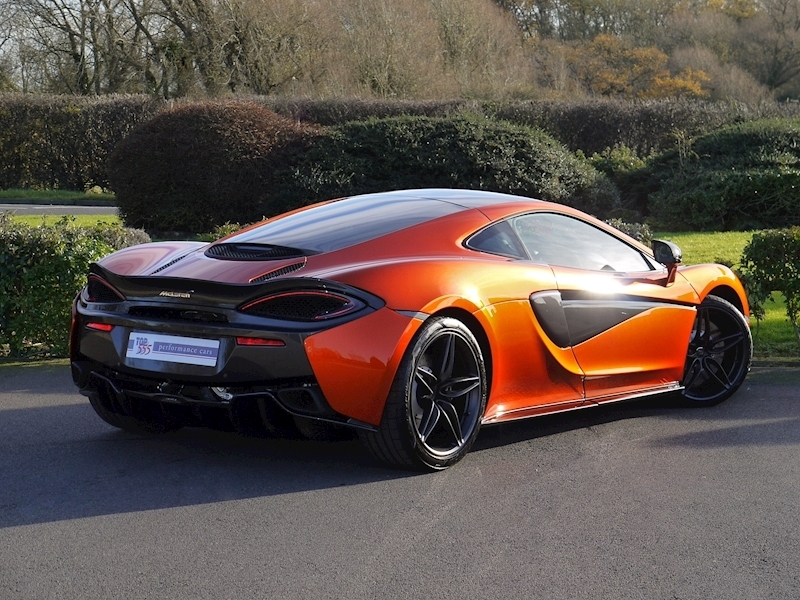 McLaren Orange Contrast Stitching. 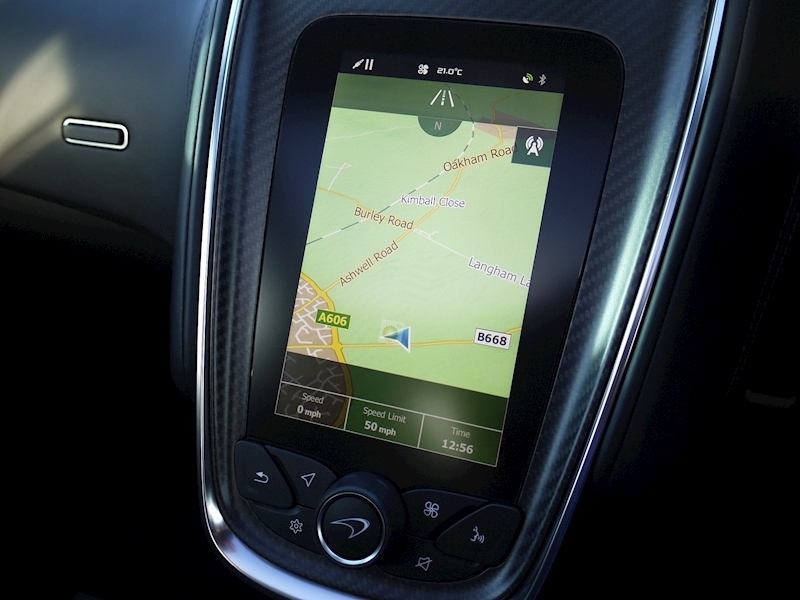 Vehicle Tracking System. 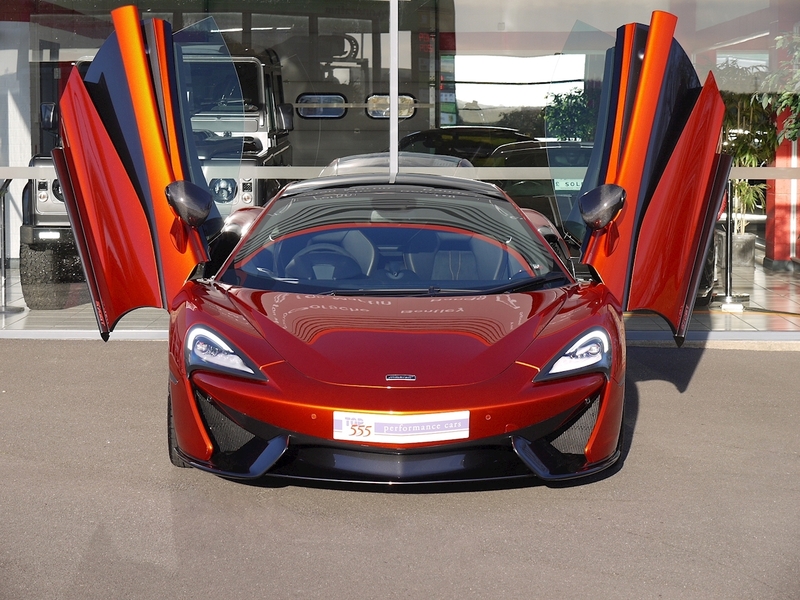 Plus All Standard 570GT Trim including Soft Close Doors, Power-Adjustable Heated Memory Sports Seats and Power-Adjustable Steering Column. 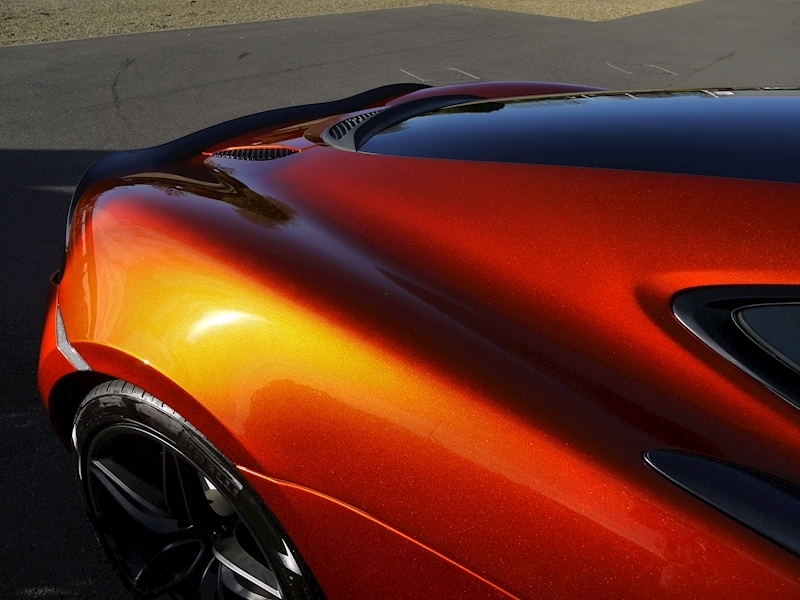 Full Paint Protection Film (PPF) Applied to Entire Car. 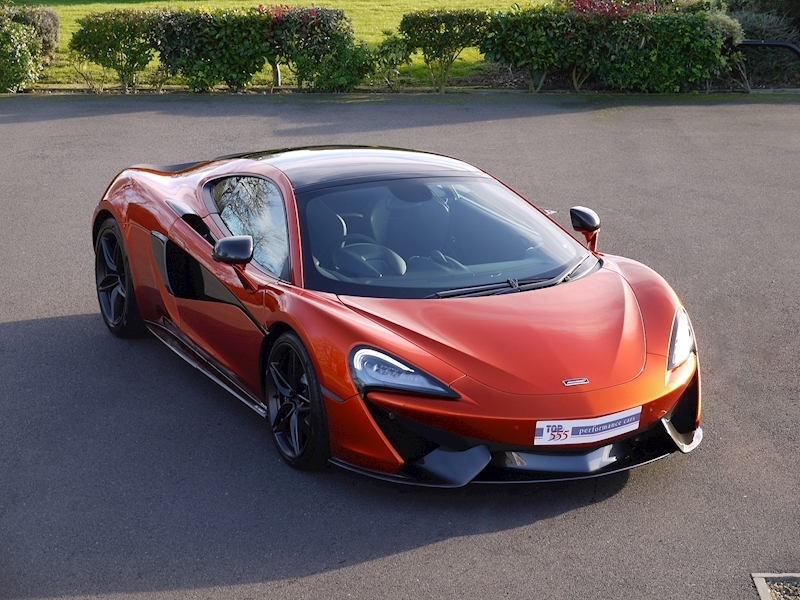 4th Year McLaren Extended Warranty Until April 2021. 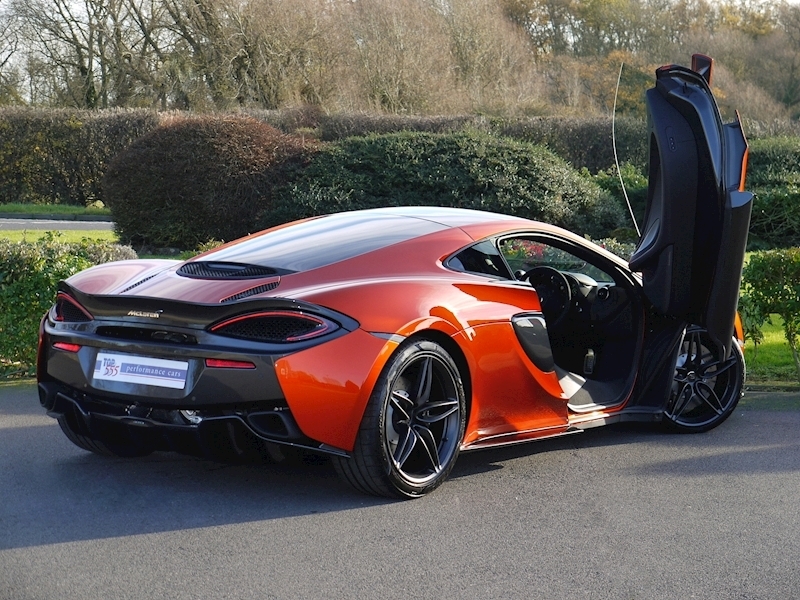 Fantastic Value, Cost Over £176k New!